Democracy needs to be part of any political movement for it to impact the lives of the very people the movement claims to defend and fight for. A string of Maoist-sponsored attacks in Chhattisgarh recently has once again pushed to the forefront the use of political violence as a permanent means to the end of social transformation. This is not the first time we are confronted with this vexed question. But recent incidents have heightened the urgency to debate the issue. The killings once again propel us to ask: Can violence be the only method to transform society and politics? Can targeted or random killings – of officials as much as of civilians – redeem the flaws that have come to subvert conventional systems of democracy, including electoral democracy, in India? Can the assassination of ordinary civilians and also of men and women in uniform provide justice long denied to the poor and the oppressed? Let us consider the recent spiral of violence. Within days of the killing Achyutanand Sahu, a Doordarshan cameraperson and two police personnel earlier this month, the Maoists killed five more people in Chhattisgarh’s Dantewada district. Among the slain were four civilians and a soldier of the Central Industrial Security Force (CISF). The dead included the driver, conductor and the cleaner of the private bus which had been requisitioned for poll duty. 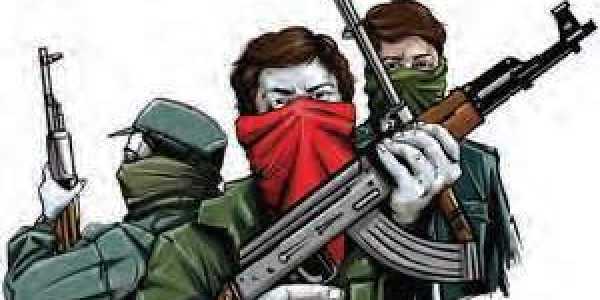 The Maoist attack in poll-bound Dantewada this Thursday was the third one in a fortnight. The Maoists reject electoral democracy and are ideologically committed to overthrowing the political system. The ultra-left warriors believe an armed insurrection will defeat the Indian state. Their cadres lie in wait for the security personnel to cross their path. And if and when civilians are caught in the crossfire (like the Doordarshan photographer, for instance), they are written off as mere ‘collateral damage’. True, the Maoists since have expressed regret over the killing of Sahu in the Dantewada attack. But the question is: Does their apology preclude such attacks in future? It would seem not. Whichever way you look at the conflict, the biggest victims of the continued low-intensity war across central India are the adivasis. Wedged between heavily armed security forces and the weaponised Maoists, the adivasis have little or no autonomy to decide the course of their life. For decades, governments of all political stripes have failed to deliver basic services like education, health and livelihood. Economic liberalisation has done little to improve their lives. In fact, it may be argued that the historic process of adivasi displacement has gone on unabated even as industrialists aided by the state have made huge profits from doing business in these mineral-rich areas. Equally important to the discussion is the question of state-sponsored violence. Adivasis are routinely subjected to police violence and harassment. The Salwa Judum – a vigilante organisation created by the state and banned by the Supreme Court – and its more recent avatars have made matters worse. On the other side are the armed Maoists, the legatees of the original Naxalbari movement. It’s necessary to emphasise here that land reform and seizure of excess land were central to the Naxalbari movement of 1967. Since then, the movement has splintered into numerous groups. And it may be reasonably argued that Maoists have substituted the politics of the radical movement with violence. It would seem that weapons have now come to have an upper hand over Maoist politics. A permanent armed struggle without the democratic and popular mobilisation of people threatens to perpetuate the cycle of violence. As the state upscales weaponisation, increases the presence of security forces on the ground and violates the basic human rights of adivasis in the name of fighting the insurgents, the Maoists too have sought to enhance their striking ability. The infamous kangaroo courts the Maoists preside over are yet another insidious way of inflicting violence on adivasis. The practice of executing a person on suspicion of being a police informer after a sham trial is another reminder of the Maoists’ lack of legitimacy. What should be of utmost priority at this moment is protecting the civilian population from violations of the rule of law by the security forces and ensuring that protections guaranteed by the constitution reach down to the most remote village. Not only have the adivasis been historically denied their rights and access to basic services, they have also borne the brunt of the conflict between the state and the Maoists. The Maoists urgently need to rethink their strategy. Democracy needs to be part of any political movement for it to impact the lives of the very people the movement claims to defend and fight for. The killings must stop. And the process of renewal of democracy must begin.